I’m having some thought last few weeks. I wonder whether SAA can extablish scholarship program for students in future. the association has it for teacher trainer, but not for students. ASTA and other organization have some scholarship, competition to support students. I don’t want offensive to anyone. But I want to express my thought. So many students will have chance to take lesson. In my opinion scholarship programs for students need to be done at the community level. I completely agree that music needs to be accessable to all, but how can the SAA determine out of the thousands and thousands of students out there, who is worthy for scholarships? How can they raise funds? People could donate or fundraise for scholarship money, but how much effort are they going to put into a fund that may never reach their community? This isn’t a big corporation with millions of dollars in their budget. If they give a scholarship to a student it affects one student. If they give a scholarship to a teacher it affects many, many students. This is just my opinion. Currently in my community a few teachers are collaborating with other music associations in town to try to come up with a foundation of some sorts to promote and help pay for music ed for children who can’t afford it. There’s certainly many teachers interested in finding ways to help lower income children take lessons, but how many people/organizations outside of the SAA are providing teacher scholarships to get training? How can the SAA award talent/skill scholarships? Should children audition for the scholarships, and then some “judges” will award the scholarship funds to the “best” or “most accomplished” child? While I am not personally opposed to this kind of scholarship, I don’t see how the SAA could endorse it since it seems ANTI-talent EDUCATION. The most fundamental tenet of the Suzuki philosophy (and please correct me if I am mistaken) is that Dr. Suzuki did not select his students based on any test or criteria or sensitivity to pitch or anything else. He did not offer “free” lessons to students who achieved at certain levels. I don’t know enough about the source of funding for Dr. Suzuki’s orginal Talent Education Center (can someone please provide this info) nor do I know how that center is financed today (government funding? private tuition?). The Talent Education centers in the US are all, I believe funded by private tuition. Next—scholarships based on the financial need of the student. Midori runs a foundation to get strings education into the public schools of New York—I believe it’s called Friends of Midori. Perhaps that could serve as a model. Midori’s foundation gets grants and donations (I believe most of them are private) but here you have a world-famous talent who has devoted herself to this cause. I have always wanted to hear about well-known musicians (either soloists or orchestra players) who are willing to step and up say publically that they came to their instrument because of a Suzuki program. I know of virtually none! One I can think of is violinist Leila Josefiwicz. Why are there not more of them? We know that many young musicians get their first exposure from Suzuki programs. Perhaps the SAA can start an outreach program to get these musicians to include that info in their bios, etc. Without that kind of public support and recognition, the Suzuki programs cannot garner the funding they need for need-based scolarships. I agree that the best way to provide financial assistance is at the local level. In the past I have taught students that received scholarships for lessons from our local Suzuki organization. I’ve also had several that have attended institute on scholarship. Very deserving families, too! Thanks Twinkletoes—I just went to the Hilary Hahn website to get her offical bio—but no mention of Suzuki name—here’s what it says…. “Hilary Hahn was born in Lexington, Virginia. At the age of three she moved to Baltimore, where she began playing the violin one month before her fourth birthday in a local children’s program. From age five to ten, she studied in Baltimore with Klara Berkovich, a native of Odessa who taught for 25 years at the Leningrad School for the Musically Gifted. From ten to seventeen she studied at Curtis with the legendary Jascha Brodsky -….” etc. I only wish they would NAME the Suzuki porogram instead of saying “a local children’s program.” Again, I wonder, why is this so? How can the word get out if people do not come out and give this information as openly as they provide the name of the Curtis Institute and other places? I guess it depends how we describe Suzuki method. 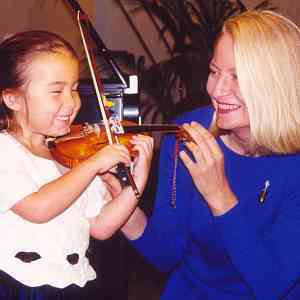 Accroding to another teacher in my town, strong parental involvement is essential for suzuki method. Then We can say that Midori is also suzuki students, because her mother taught several years. We also need to clarify. Hilary Hahn used suzuki method only few months. 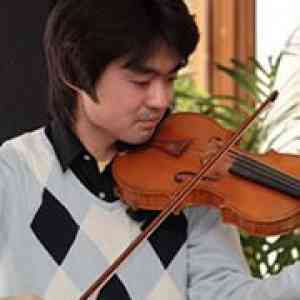 Should we say people sho study violin using a suzuki method still a suzuki student? we also need to consider suzuki method is not working well in Japan. I have feeling that people look suzuki method too subjectively. we can tell that we need to do a lot more research to improve this method. We need to remember before suzuki died he said that the method hasn’t achieve the goal. we also need to consider suzuki method is not working well in Japan. In what way is it not working, and why do you think that is? This is not sound logic. Strong parental involvement IS essential for the Suzuki method, but this statement cannot be reversed to prove that any student (Midori) or any other) was a Suzuki student because their parents were strongly involved. Please see that this is NOT so. Of course, virtually ANY person who achieves at high levels in any field may do so because of strong parental support and/or involvement. It doesn’t make it Suzuki method. Many asian countries want to produce a professional musicians, not amateur musicians. asian countries usually focus music only, not learning discipline or behavior from music. about group playing. I love group playing. However, I alway wonder to do mendelssohn or tchakosky concerto in group. these compositions are written for solo piece, not for group playing. I once attended an institute and I had cold feeling that everyone played Mendelssohn concerto together with same phrasing. Some suzuki philophy books are too ambiguous. Like a bible, we can translate into different meaning in one phrase. Dr. Suzuki also wrote about MR. Koji Toyoda many times. However, why he doesn’t mentioned all other people? according to his philosophy, no one shoud not fail. so he should mentioned more people. I understand that listening the recording is very important. However, I always wonder about mother tongue method. Dr. suzuki recommended to listen recording over and over. When I watch the video tape “nurtured by love”, I once again had cold feeleing. One young child carry a small cassette tape on his back while he is playing outside. It seems parents are doing brain wash for me. mother tongue method. It is different importance. Children have to speak in order to communicate. However, children listen different words 24 hours a day. Therefore, children can speak native language fluently. How many students listen recording 24 hours a day? Those are some Japanese articles, which I read recently. Julia Fischer (she was on the cover of Strings a few months ago) is also a former Suzuki student. And I think that Joshua Bell started with Mimi Zweig, who is one of the most accomplished Suzuki teachers around! A student of Jascha Brodsky, Hilary Hahn began playing the violin a month before her fourth birthday in the Suzuki program of Baltimore’s Peabody Conservatory. From the age of five until she entered the Curtis Institute, she studied with Klara Berkovich, a native of Odessa, who taught for twenty-five years in the Leningrad School for the Musically Gifted. From ten to seventeen, she studied at Curtis with the legendary Jascha Brodsky â€“ the last surviving student of the great Belgian violinist Eugene YsÃ¤ye â€“ working closely with him until his death at the age of eighty-nine. Hahn remained at Curtis for two additional years, playing regularly for Jaime Laredo and studying chamber music with Felix Galimir and Gary Graffman. In May 1999, at the age of nineteen, she graduated from Curtis with a bachelor of music degree. By the way I think it’s possible to have students scholarship thing. SAA has teacher trainer scholarship. Then how about they do same process? it’s easy to find out who needs to financial help. tax form, letter, etc. It is necessary to have local scholarship. But it’s also good to have partial scholarship from larger organization. So suzuki program will develop more. To get a teacher training scholarship (which are limited-it’s not like there are thousands and thousands of dollar available) a teacher must send in an audition tape, essays, letters of reccomendation, and their resume. Can you imagine a student having to go through this? What would be the criteria and how long the scholarship would last? Teachers have a limited amount of scholarships they can win-it’s not like a teacher can apply and win a scholarship every year. Is it fair to a kid to give them a scholarship one year and then leave them on their own for the next, which means they wouldn’t be able to afford lessons? And how would the SAA monitor if the student is showing up to the lessons, if the child is with a trained teacher, if the parent is involved, how much scholarship to give since teachers have different rates, and if the child is practicing? And to top it all off, this is the Suzuki Association of the AMERICAS, which includes the entire continent, not just the US. There are so many kids who take lessons. And this association is an association mainly of teachers, not so much families. I believe far more kids can be reached by giving a teacher a scholarship instead of one student. I believe a big goal right now of the SAA is currently trying to reach out to Mexico and South American countries. And to top everything off, the SAA has a very small staff. I really think they are doing the best they can right now. If parents are committed to music, they will do. Like a suzuki institute, if parents are committed, they will pay to go it every year. We need to clarify, it depends how much parents can do. If parents and students really want to have music learning, they definitely do. Usually local organization provide one year scholarship. Then they have to submit same process every year. So I don’t see any problem at all to provide yearly scholarship. It is easy to monitor students. If we have good communication with teachers, we may possible to do. That’s why it’s good to do scholarship yearly. Therefore, most organizations provide only a year scholarship to students. Rate—I don’t see any problem at all. Like an institute, each one is different. every teacher in same area has different rate. But local organization provides same fee to students. I hope I answer everything. It is easy to monitor students. I don’t find offense at all-I just disagree with you. I don’t understand why you feel an international organization like the SAA should provide student scholarships as I feel this is a local issue, not something an association like the SAA is responsible for. 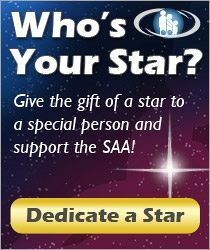 I don’t think it’s easy for the SAA, a small staff based in Colorado, to monitor students in Canada, Chile, or even in Texas. This is not an overstaffed, overfunded organization. If a student must submit a videotape, then you’re assuming the scholarship should be for students who already play and take lessons. If they have paid in the past for lessons, why not the future? My problem is not with trying to get more access for students who can’t financially pay for a teacher’s rates. I just don’t agree with expecting the SAA to fund an international scholarship program. I admire your desire to bring music ed to all students and I hope you find a way to collarborate in your city to fund music ed for all. 3. The entire Book 4, with the exception of Bach Double, are concertos meant for one violinist. What makes Mendelssohn different? The beauty about this method is the combination of the training to play in a group, but then the training to do our own phrasing as a soloist. This method embraces both. Suzuki didn’t write violin method books. The training is meant to be taken in person. Yes, there are books written by Suzuki about his philosophy, but by no means are these meant to be all encompasing. Who exactly should he mention? ‘Parents brainwash’ their children daily about everything from the need to brush their teeth twice a day to homework must be done. What harm is there from having a child listen to classical music? We need to clarify playing in a group. Do you think everyone play same phrase in concrto? I believe they should play differently. Therefore, there are so many recordings are available. But when they play in a orchestra they need to play same phrase. Playing concerto and symphony is totally different world. Therefore, concerto should be solo, not for group playing. If you have a child, do you tell them to carry all the time? I never saw students who listen recording 24 hours a day. If you know someone who listens 24 hours a day please let me know. I just had cold feeling carrying a stereo on a child’s back and playing outside when i watched “nurtured by love” video. I am sure no one carry like that video and play with other children. Someone mentioned Mimi Zweig in an earlier post as the first teacher of Joshua Bell…yes, that is definately accurate. However, Mimi is NOT a Suzuki teacher. I have studied with her at IU and while her approach draws elements from the Suzuki method and uses the rep., she is definately using her own method and purposely does not describe herself as a Suzuki teacher for whatever reason. we also needs to defind the meaning of the suzuki teacher. Half of the time I use other than suzuki books. But my teaching is based on suzuki philosophy. So I guess I can call my self the suzuki teacher. I can see that Suzuki books are not enough to cover al technical elemenet. So I combine other books. Please don’t be offensive. This is just my idea. I find it much more chilling when I see a young child with an iPod listening to pop or rap (which many of them do—our local school system gives iPods as contest rewards for selling the most magazine subscriptions in a yearlf fundraiser) than I would to see a young child listening to portable classical music. Nobody minds when our children are brainwashed by society to admire celebrity figures who definitely do not merit admiration. I commend parents who “brainwash” their children to admire classical music, which is definitely admirable. Doesn’t give me a cold feeling at all. ASTA and other organization have some scholarship, competition to support students. Does anyone know what the difference between ASTA and SAA is as far as resources, staff, how the ASTA scholarships work and are funded, how many are given? I don’t know enough about ASTA to know if they have better resources in order to offer what they do. I agree, though, that the SAA can reach many more children by giving teacher scholarships. This is an interesting thread. I recently read somewhere that playing concertos in a group setting really IS providing training for the individual, because it helps inspire the student AND helps them develop confidence by playing concertos like Seitz together (Ed Kreitman’s book?). As a student I LOVED playing pieces like that in a group, probably for the same reason I was always drawn to symphonic music—I love being part of a big sound. I don’t feel it ever detracted from expressing myself individually. Just the reverse—it inspired me to practice those pieces more! Furthermore, when I was in college my russian violin teacher had our class play in “violin choir”. We played things like Kreisler’s Praeludium and Allegro, the slow movement to Tchaikovsky Concerto, Novacek’s Perpetual Motion, Fiorillo etudes (w/ piano accompaniment! ), and many other “solo” pieces. I LOVED this—what an awesome sound. It was fun, and again, none of us felt “constricted” by playing these pieces with a group. It is both ensemble training and solo training. I am not against group playing. Yes it’s fun playing together concertos and sonatas. I think it’s important to play together, so students have chance to learn ensemble work. I told students playing together as much as they can with different phrases when they practice with friends. The question is when they do a concert or a recital, they should play concerto or sonata individually. I understand Seitz in book four is concerto. But that is student concertos. I am pretty sure he composed that pieces for learning technique and phrasing. So it is possible to do. Not to be stuck on Mimi (I do think she is an awesome teacher and such a kind and generous lady) but, you can hear her violin ensemble, Violin Virtuosi, perform Kreisler’s Praeludium and Allegro on her website. Not at all chilling, lol. What is the difference between an excellent 1st violin section performing a symphony in perfect unison and a violin ensemble playing concerto rep. together? I can remember years back when I first heard a group do something like this and I was so amazed, but a friend of mine was also “chilled” by the experience. An established collegue of ours gave her advice I’ll never forget: don’t knock it, judge it, or make remarks about it until you also have a studio capable of playing Mendelssohn in unison, then you get to make up your own mind about it when it is a reality for you. Good advice for us both! By the way, her kids now play a mean La Folia together and I think she has plans to tackle some Kreisler in group next year, lol. I actually find it quite moving to hear very advanced pieces (Mendelssohn, Kreisler) played by a group of sensitive, accomplished musicians. Not at all chilling. Playing in a really amazing group requires so much musical maturity. The most rewarding musical experiences I have had have been playing chamber music with other musicians that value the group first and foremost, and not just their own individual part. Likewise, I’ve had some very frustrating experiences playing with highly accomplished players that couldn’t see beyond themselves, and didn’t really care about how the group sounded. Well, this has been a huge issue within the SAA and has caused the change in the way training is screened. Teachers used to send tapes directly to the institute they wanted to take training from, and the teacher trainer giving training at the instute would screen the tapes. Now, all tapes and decisions are made by and through the SAA. Most of us use material outside of the Suzuki books. Have you received training from a certified SAA teacher trainer? If so, you are a Suzuki teacher. There is a huge controversy among teachers and teacher trainers about who should be allowed to call themself a Suzuki teacher. I know teacher trainers who used to be friends whose friendship was broken up by this issue. I also know other teachers who talk about breaking away from the SAA as the SAA gets more rigid with it’s registration and training procedures. Defining who is a Suzuki teacher is not a simple idea. ASTA is a completely different organization that is MUCH larger, more inclusive, and has not only a bigger budget but also each state has officers that coordinate local events. To my knowledge scholarships and competitions are generally done at the state level, but there are a few competitions nationally. Know these competitions are based on how well the student plays the instrument, NOT on making music accessable to all. I used to be an ASAT member but realized since my studio is so young that they can’t take place in any of the ASTA events. Add onto this I don’t like to encourage competitions in my studio and I realized I didn’t want to be a member anymore. A twinkler would not win this competition or any other ASTA competition. ASTA and the SAA have different philosophies. Notice, these are competitions, not scholarships for low income kids. I have been looking at the various music organizations to see what they offer interms of grants and scholarships. I am looking for a way to supplement grants for funding an urban Suzuki Program at a local non profit arts program in our area. I would think that ASTA and MENC 1stly require membership commitment on the part of the teacher or local organization that is applying. Since the Suzuki Method is based on inclusiveness not competition our local programs that offer scholarships also require a commitment of teacher and parent membership as well as some proof of financial need. Our local Suzuki Associations have provided Institute Scholarships in cases were parents have been laid off or have had an illness in the family that contributed to financial difficulty. These scholarships are also based on merrit and past history of commitment to participation and consistent progress of the student. They are done by teacher committee and no doubt are affected by the bias of the teachers who are in that community. Surprisingly few students apply. Most are unaware of the opportunity and are often recommended by a thoughtful or alert teacher. They are most often partial and in somecases are not enough to make participation in an institute possible and therefore some times go unused. It would be helpful to have a non-profit research group do a study on what is being offered with in the SAA community and make some recommendations. It is possible that we are over looking some resources both nationally and locally. Some types of scholarships set up by an organization do not get used very effectively because they are too difficult to administrate by those who would actually qualify for them. The director of most non-profit arts or music organizations does not have a lot of administrative time to keep track of many individual schoolarships with out burdending their staff with the extra paper work. It would be helpful if SAA could look into getting the funding available for training local Associations and Suzuki community leaders with more skills for creating better funding platforms for our local organizations. Much of this has to do with learning how to work collaboratively with other local arts organizations. Those foundations and corporations who provide funding for cultual activities in their local communities (including music instruction) are more interested in programs who find creative ways to collaborate. Great post! My opinion is we need to stop the mindset that the SAA (or whomever) needs to provide a service and start creating change ourselves. Collaboration is the key, not only with other Suzuki teachers and local schools, but also with other arts organizations. I think the key is to tap in to an organization with an administration capable of writing and winning grants. Either someone needs to win a grant, find a corporate sponsor, or the teachers have to worl for nearly free. Maybe I’m missing some idea-anyone else? I have been waiting for our local community to develop local arts-nonprofits that have the stability and focus to do such a project as support an urban Suzuki string program. You would think that such an affluent county in the USA would be more developed in this regard. It would have been easier if our local Suzuki Association had that vision and was looking for opportunities in the community as well. Very often we only think in terms of how we are going to survive as an association and not interms of how we can become organizations that make useful contributions to our communities. By thinking in terms of the contributions we can make, concern about surving as an organization becomes an irrelevant conversation. Most communities have state and national funding going into local organizations that work with youth and families at risk. You need to aproach the directors of these local concerns and look to see if there is a place in their program where some music lessons would serve a purpose. It may take time to educate and convince such a director that the Suzuki Method can be adapted to serve the children that they are working with. Look at other models where this has been done and design a pilot program that fits what you can offer. It may take several trials looking for the right organization, director and nich in your community. Don’t give up on your first efforts. I have been looking at models in which my own studio can adopt such a program by providing the initial group lesson component until there are enough youngsters in the other program to sustane their own. It is possible to serve different echonomic levels of families in such a non profit because they can offer combinations of tuition or even no tuition based on the students level to pay. Some of the students coming to the center I am looking at will pay nothing, some will pay a discounted level of tuition based on their commitment to volunteer at the center, i.e. serving on the parent commitee. Some will pay full tuition be cause they want to support the center and may even contribute in the form of donations. A non profit organization is in a much better position to make these kind of evaluations in a consistant manner and are already set up with a staff and board that can do it. 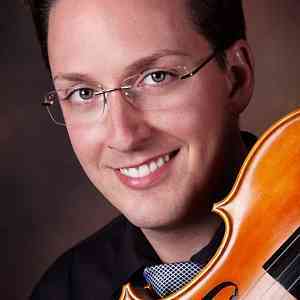 As a violin teacher I do not want to know that much about my students. I want to be more involved with their development as students, regardless of their financial need. I want them to feel that I see them all as equally worthy of my attention. Ideally one’s echonomic situation should have nothing to do with ones desire and commitment or talent for playing an instrument. Unfortunately we haven’t provided those opportunities for children of all backgrounds to receive a consistant level of quaility music instruction. I can not think of a better way to put children at risk in a possition to be academically successful. Even if you find a way to do this on a small scale you are making an improvement in the educational environment of your community that servers all of the children. If you can not do this kind of teaching with your own time you can still support those teachers that do so in your community in many ways. Adopt a fledgeling music program for children at risk in your area. Ask the parents and students in your studio to participate in fundraising activities and instrument donations. Ask the young musical leaders in your studio to do some community service projects with their instruments on behalf of a cultural non-profit in your area that is providing music instruction for children at risk. Allow children from these programs to participate in your Festivals and workshops at reduced cost. Maybe music will save the world. That is, if we work for that purpose, . . . . There are people who think that art exists for its own sake, but I do not think so. Art exists for the human species. I think that all of the people who love art, those who teach art, and all of you, should burn with the obligation to save the world. It is necessary to be concerned about the importance of educating a really beautiful human spirit.